On February 13, 2015 The Michigan Public Service Commission (MPSC) issued its fifth annual report on the implementation of the state's renewable energy standard and its cost effectiveness. Public Act 295 of 2008 (PA 295) requires the report to be issued by Feb. 15 each year. For 2013, the estimated renewable energy percentage reached 7.8 percent, up from 5.4 percent in 2012. 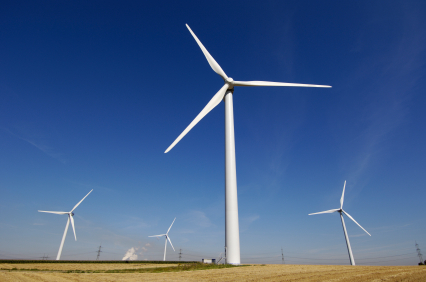 For 2014, renewables are expected to have reached 8.1 percent. "By the end of the year, Michigan will have reached its renewable energy portfolio standard (RPS) - 10 percent by 2015," said MPSC Chairman John D. Quackenbush. "The RPS can be credited with over 1,450 megawatts (MW) of new renewable energy projects becoming commercially operational since PA 295 took effect." Michigan's electric providers are on track to meet the 10 percent renewable energy requirement. All of Michigan's electric providers accomplished the second compliance requirement successfully for 2013. At the end of 2013, both Consumers Energy and DTE Electric obtained MPSC approval of power purchase agreements and company-owned renewable energy projects that provide the necessary capacity to exceed the 2015 legislative capacity requirements. In July 2014, Consumers Energy reduced its renewable energy surcharge to zero for all customers. In January 2014, DTE Electric company implemented a surcharge reduction, which lowered the residential surcharge from $3 per meter per month to 43 cents. During 2014, five utility-scale wind farms became commercially operational in Michigan. The growth of wind in Michigan's REC portfolio has been significant, increasing from 24 percent in 2012 to 44 percent in 2014. The most recent contracts approved by the MPSC for new wind capacity have levelized costs in the lower $50s per MWh ranges, about 10 percent less than the cheapest levelized contract prices from 2011, and 50 percent of the levelized cost of the first few renewable energy contracts approved in 2009 and 2010. The weighted average price of existing renewable energy contracts is $76.55 per megawatt-hour (MWh), significantly lower than the cost of coal-fired generation plants. On a combined basis (renewable energy and energy optimization), the cost of $37 per MWh is less than any new generation, including new natural gas combined cycle plants, when compared to the Energy Information Administration levelized plant costs for 2014. Some $2.9 billion has been invested to bring approximately 1,450 MW of new renewable energy projects online through 2014 in Michigan. The entire report is available online, here.